Here’s a new virtual job hub for home-based online freelance professionals. Great news freelancers! 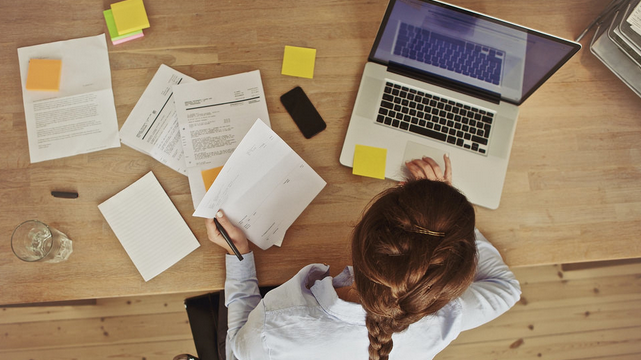 Getting a home-based job online just got easier and faster with Upwork’s new talent platform. From the traditional hiring process (which roughly takes several days or weeks), it has made things uncomplicated for both employers and applicants by making hiring realistic for businesses. Upwork—a merger of two pioneers in online work, Elance and Odesk—has launched this platform to disrupt hiring norms and represent a new chapter of online work. “Upwork’s launch signals a new chapter of work in which people are able to hire quality talent—regardless of where the professional happens to be—in minutes. I predict freelancers will earn $10 billion annually via Upwork within six years,” said Upwork CEO Stephane Kasriel. In the Philippines, a growing population of freelancers (approximately 1.4 million Filipinos) is already earning more than what they can get from nine-to-five jobs. In fact, according to Upwork categories director Ryan Johnson, Filipinos comprise 67% of online workforce in the customer service category alone. He is confident that there is no way this trend will go down. Using only a desktop or laptop with good Internet connection and skills needed for the job, one can join this online workforce and earn much higher. Here are Upwork’s new platform features that can get you a job in near real-time. The platform’s latest innovations will make it possible to hire in minutes or less by factoring in availability and immediacy of response when finding freelancers. It utilizes enhanced matching algorithms; new work status feature that allows freelancers to set their availability (“Right away,” “Later” or “Not looking”); and a new mobile app that can facilitate posting of jobs, submission of proposals, and reviewing of applications and contract on the fly—enabling hires to be made from devices in minutes. This feature enables immediate collaboration after a hire, allowing clients to share files and communicate with their new workers instantaneously. It is completely free and available to anyone on the Web with no limitations (users don’t have to sign up for an account). Getting a home-based online job has never been this easy and fast. But of course, it will never work out if you don’t have the right skills to fit. “It’s really up to you how you sell yourself. Your online profile should really showcase the skills you have and the experience you had to be able to get the job that’s right for you,” says country manager Ron Cirujano.